I always thought to myself, if I was going to get a license to produce toys from a series, I would want to make Oban Star Racers figures. Well, it looks like Muttpop beat me to it. Just revealed on their site is a Extra Spicy Glow version of the main character MOLLY. 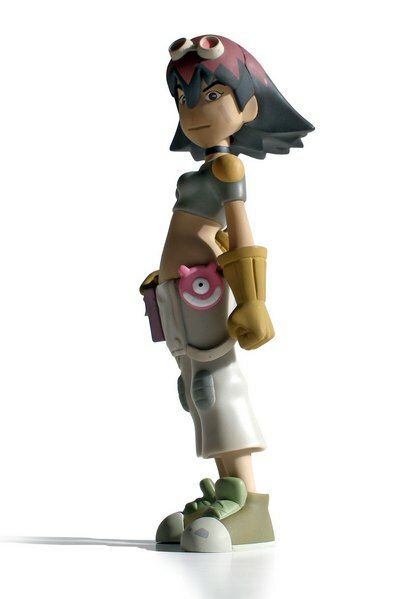 She'll be 7" tall rotocast vinyl, released in 2008, and it looks like 6 color versions are planned. I can't tell you how super-jazzed I am. Thanks to Vinyl Pulse for turning me on to this.